Honest review, hmmm? I put the book down at the 32% mark. I’d had enough. While I admired the historical research and the portrayal of the harshness of life in the 1700s, I didn’t like either of the main characters. For me, they were both inconsistent. It seemed Jamie had more of an idea of the forces at work around them, but that didn’t really come across very clearly – I felt like I kept being TOLD what his character was like rather than being shown it, and when I was shown it, it felt like a token gesture that was judged by Claire (seeing as this was written in her first-person POV). And Claire… I felt was just being whipped around by the tides with very little thought process and sensibility of her position in the place and time. And where there was thought process, it was again not shown, so one had little idea why she made the decisions she made. However, I am not a quitter, and I picked the book up again. And finished reading it. It was ok, but I wouldn’t rate it higher than that. 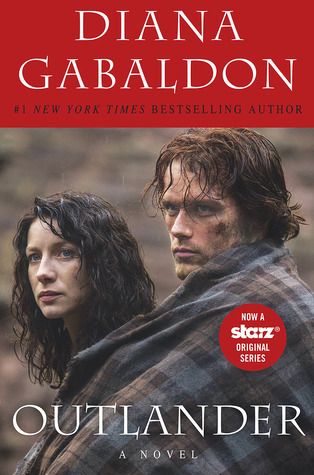 However, I will give a firm nod to Gabaldon’s research and portrayal of life back then – I definitely commend and respect it. And it’s for this reason only that this book gets three stars from me, and not the two the “it was ok” would garner.